All students participating at the “Building Healthy Intimate Relationships” Workshops organised in Cyprus, were invited to design and create messages and products to be used for the realization of an awareness raising campaign with the aim to inform and sensitize all adolescents throughout Cyprus on intimate partner violence and healthy relationships.These action were implimented within the framework of the project GEAR against IPV II- Gender Equality Awareness Raising against Intimate Partner Violence, implemented during the period of 2014 to 2016, and co-financed by the Daphne III Programme of the European Union. 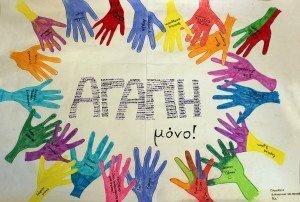 The students were invited to create products in order to deliver campaign messages to their peers: messages on building healthy, equal relationships based on mutual respect and free from any form of violence, as well as about what one can do to protect themselves and others from violence. 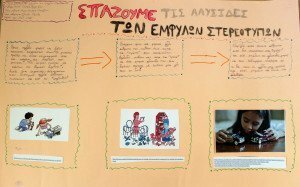 The students were free to choose the format of the product they wished to develop (text, drawing, collage, poster, song, theatrical play, film etc.). 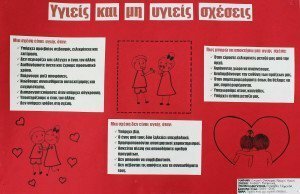 Posters with anti-violence, anti-sexism and anti-racism messages. Essays (text describing their experiences of the workshops, knowledge gained, concerns and ideas). Slide shows of pictures taken during the workshops presenting group work. Watch slideshow A and slideshow B. Songs written or adjusted (on love, relationships, and violence). 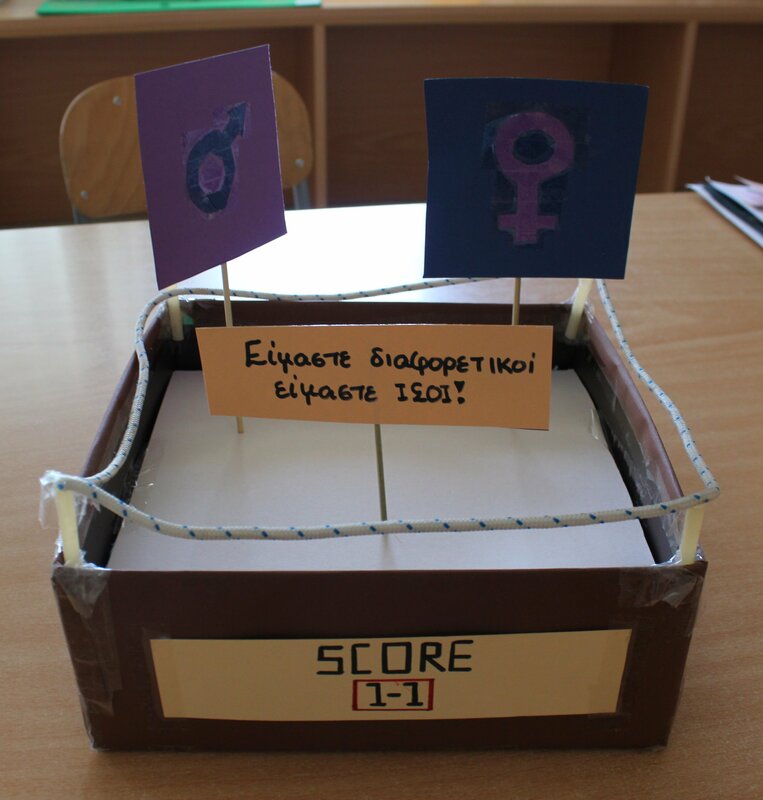 3-D dimensional creations (on gender equality and healthy relationships). 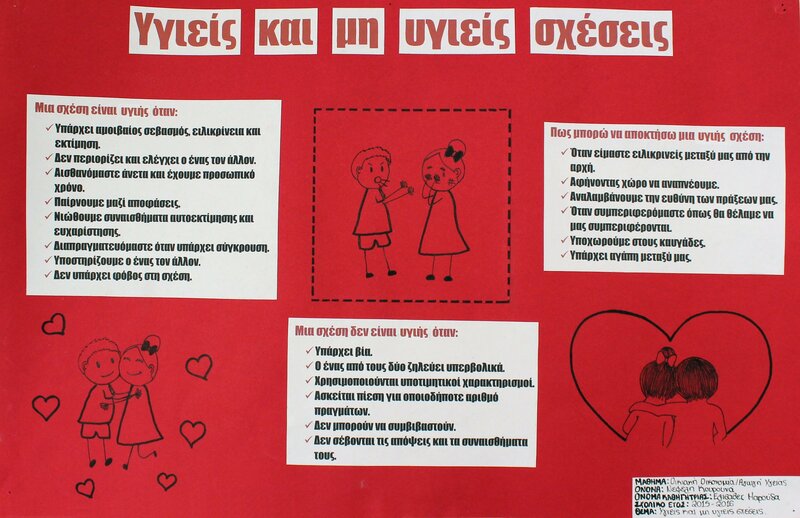 All students participating in the workshops were invited and encouraged to create several campaign products, some of which were submitted for the project competition. For the selection of the winner, MIGS established a committee that evaluated the products/creations submitted by the students. The committee was comprised of the two trainers of the teachers’ trainings, two members of MIGS staff, and a boy and a girl who had previously been trained as peer educators on intimate partner violence during the implementation of a previous project conducted by MIGS. 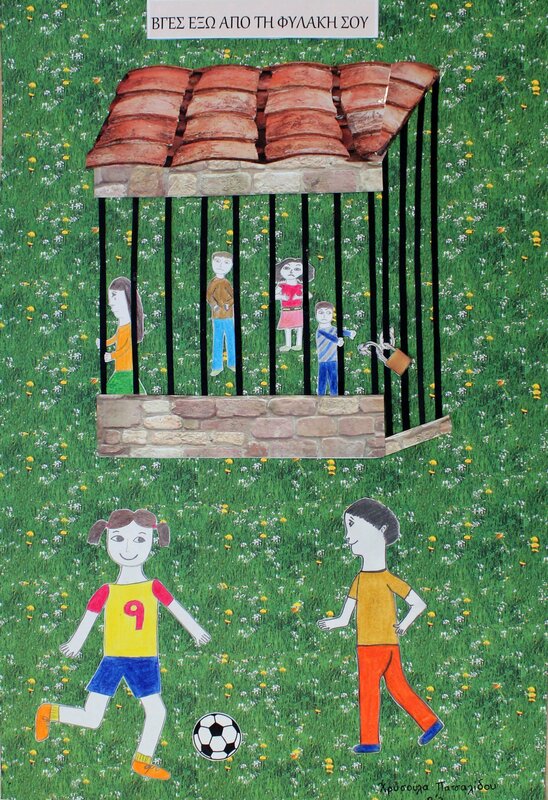 The perspective of young people in the selection of the competition winner was considered very important. 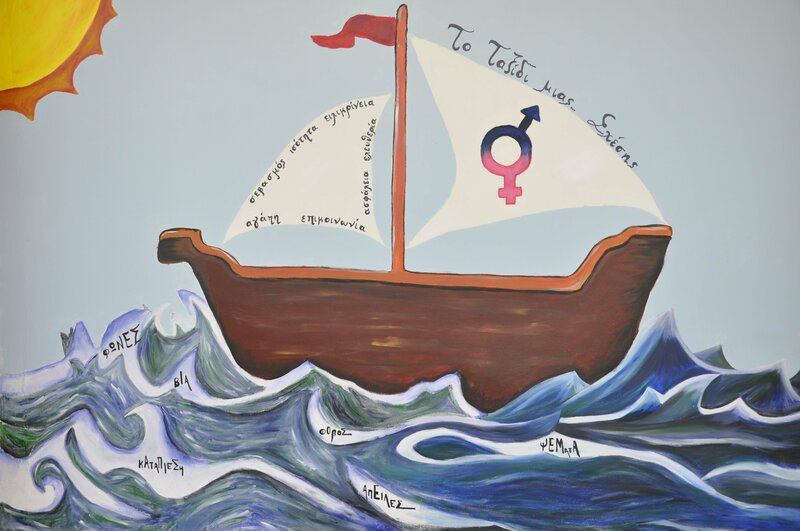 1st Prize: “The relationship boat”, Painting on the wall of the school, Ayios Chrysostomos Gymnasium, Nicosia. 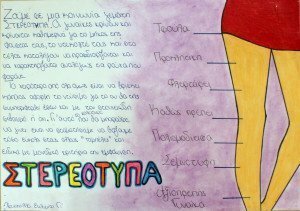 3rd Winner: “If I were a girl”, Song, Dianellou & Theodotou Gymnasium, Nicosia. The results of the competition were presented at the national conference of the GEAR against IPV project in June 21st, 2016. 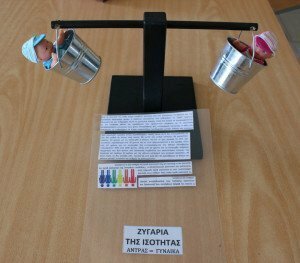 A group exhibition was organized in conjunction with the conference at the Cyprus Pedagogical Institute in Nicosia, where all the creations of the students were presented and the competition winners were announced. 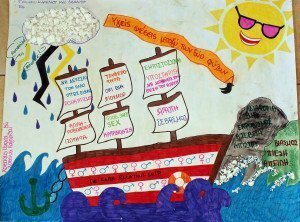 The creations produced by the students that participated in the awareness raising workshops were used for the realization of a campaign against IPV/Dating violence/gender-based violence and sexual violence. 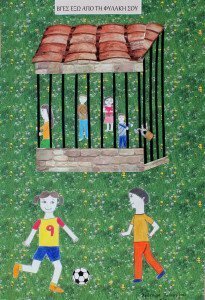 The campaign aimed at promoting awareness among a wider audience of adolescents and young people through the use of messages created by their peers “in their own language”. In order to achieve this, all possible means where used (e.g. 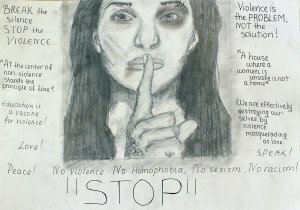 Facebook, YouTube, Twitter, youth web platforms, websites, TV, radio programmes, community festivals and forums against gender base violence) and MIGS continue to disseminate the campaign messages through its activities beyond the end of the GEAR against IPV project. Watch the project’s promotional video here. 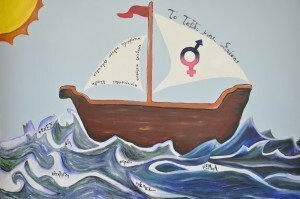 For more information please contact Christina Kaili at christina@medinstgenderstudies.org . 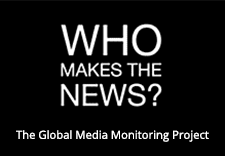 Next Post →MIGS partners with U-Radio for Campaign Spots!